This article was published on 06/03/2014. When video game consoles went HD, older games being remade in HD started to become popular. These are known as HD remakes, much to my chagrin. What is an HD remake, and more importantly, what is HD? HD stands for High Definition, which is a marketing term that companies like to use to woo in consumers. It's an ambiguous term that can literally mean anything, but today it usually implies a screen resolution of 720p or 1080p. The p stands for Progressive Scan, which basically means it's digital instead of analogue, and the number is shorthand for the actual screen's resolution, that being 1280 by 720 or 1920 by 1080 pixels. Until the PlayStation 3 and Xbox 360, all game consoles rendered games in 480i or below, i standing for interlaced. The 1989 North American release of the original Sega Genesis had "High Definition" written on it, but obviously that term didn't have the same meaning it does now. That just proves how meaningless the term truly is, though. Anyway, an HD remake is simply a game that was originally 480i or below being converted to 720p or 1080p. These remakes will sometimes make other minor enhancements to the graphics, like slightly improving textures, but they are by and large the same game. Because of that, this is really nothing more than a lazy way to sell the same game to the same customers again, as in, a quick cash-in. Not all remakes are lazy cash-ins. Drop HD from HD remake, and you get a remake. Before HD entered our collective lexicons, remakes were considered to be complete recreations of older games with modern graphics and mechanics. That could mean a 2-D game being remade in full blown 3-D, new content being added in the form of additional areas, or the game play being radically altered in some fashion. Literally everything is on the table when it comes to a remake. Radical remakes include games like Super Mario All-Stars, Metroid: Zero Mission, Sword of Mana, Kirby: Nightmare in Dream Land, etc. All these remakes are complete overhauls of the originals, changing not only the graphics, but sometimes even the core game engine. 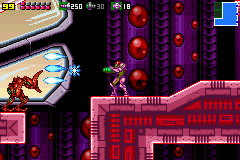 For example, Metroid: Zero Mission is a remake of the first Metroid, but its alterations are so vast that it may as well be a different game altogether. These remakes are actually worth the money, because the developers put a lot of time and effort into them. Plus, the games are different enough that even fans of the original will get a new experience out of them. The only drawback to these remakes is that they sometimes deviate too far from the source material, which can defeat the purpose of the whole thing. Still, they're usually worth checking out. Something that isn't talked about as much are demakes. A demake is the polar opposite of a remake, in that it recreates the game with vastly inferior graphics. That might sound pointless, but there are a surprising amount of demakes out there. One of the main uses for demakes is to take a game from powerful hardware and put it on something far weaker, like bringing a console game to a handheld. This happened a lot during the Game Boy era. Handhelds were drastically weaker than their console counterparts back then, so the only way to get a console game working on a handheld was to seriously downsize everything, especially the graphics. The idea here is that the portability of a handheld is worth the downgrade in graphics. An example of this phenomenon is Donkey Kong Country for the Game Boy Color, which was a demake of the Donkey Kong Country for Super Nintendo. The Game Boy Color version of Donkey Kong Country was a huge step down from the venerable Super Nintendo original, but hey, at least it was portable! Most of the time, the portability wasn't worth the severe drop in quality. Another type of demake you might see out there is the fan demake. A popular one is Mega Man 7 FC, an 8-bit remake of Mega Man 7, a game originally released for the 16-bit SNES. While this might seem irrational to most, these demakes are born out of a nostalgic love for the past. In any case, you now know the meaning of the word demake, if you didn't already. With remakes out of the way, let's now take a look at ports. There are two kinds of ports; straight ports and enhanced ports. A straight port is the most common form of a port and it's merely the same game being made available on an additional platform. The aim of a port is to be exactly the same as the original game, with little to no modifications made to the source material. Standard ports are pretty self explanatory, but where things get murky are enhanced ports. Similar to regular ports, enhanced ports are almost identical to the original game, but they tend to add bonus content, sometimes also improving a few things. The Super Mario Advance games on the Game Boy Advance fit into the enhanced port category quite nicely, in that they're the same as the originals with a few enhancements. 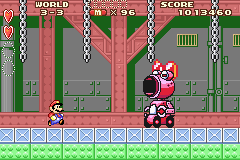 In the case of Super Mario Advance, the enhancements include new bosses, new collectibles, new levels, added voice samples, and some other minor changes. It can be tough to differentiate a standard port from an enhanced port, because there isn't a fine line that separates the two. Also, sometimes the additional content or improvements made in an enhanced port are so minor, that they barely qualify as enhanced. There are even times when improvements made to a port are nearly imperceptible, like discreet bug fixes. Even though the lines often blur between ports and enhanced ports, it's still important to make the distinction whenever possible. Too bad it's not always possible. So how do HD remakes fit into all this? Well, for one, calling them HD remakes is a bit of a misnomer, since they usually don't recreate the entire game from the ground up. In most cases, HD remakes fall somewhere between ports and enhanced ports. Often, the only thing an HD remake will do is increase a game's native resolution. Really, everyone should call these HD ports, not remakes. Referring to them as remakes is false advertising, which may very well be the intention. Unfortunately, just about everyone in the gaming world calls them HD remakes, to the point where remake has lost its meaning. There are some games out there that do fall into the HD remake category, but nine out of ten times, games being billed as HD remakes are nothing more than glorified ports. Besides, if ports are known as remakes now, then what would you call an actual remake? People need to stop calling them HD remakes, when they're really HD ports. Next time you see someone do that, punch them in the face. Game companies are jumping at the opportunity to make a quick buck by getting on the HD port bandwagon. The current business strategy seems to be to get rid of backwards compatibility on modern consoles and then release a ton of HD ports of popular games from previous console generations. 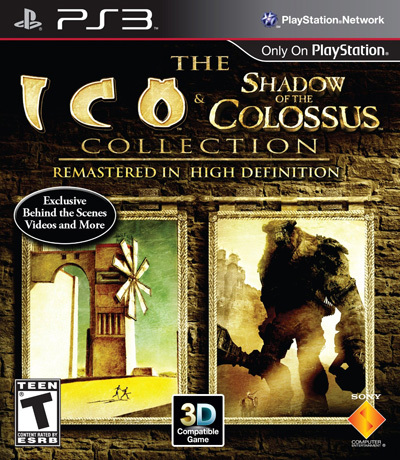 We saw this on the PS3 and 360 with stuff like the Devil Mary Cry HD Collection, the ICO Collection, the Ratchet Collection, the Jak Collection, the Sly Collection, and many more. Those were at least somewhat justified, because multiple games were being put onto a single disc, plus the improved resolution made them look better on modern televisions. 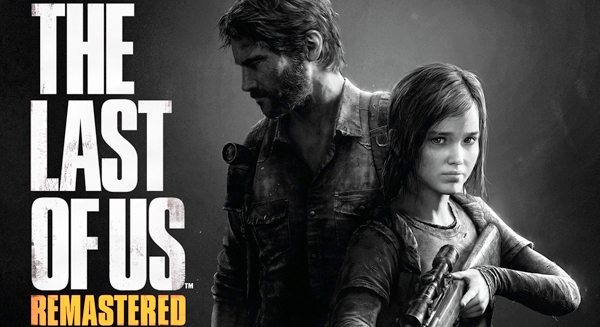 What's not at all justifiable, however, is The Last of Us Remastered. The Last of Us is a PS3 game that came out on June 14, 2013, and the Remastered version is slated for a PlayStation 4 release in 2014. Because it started out as a PS3 game, The Last of Us was already in full HD, so Sony can't use the HD angle this time around. Supposedly, there are some minor improvements being made to this new version, but good luck trying to find them. This is really nothing more than a scam to get everyone that bought The Last of Us on PS3 to buy it again for the PS4. It's going to work, too, because the PS4 has no backwards compatibility whatsoever with the PS3. Be prepared for more "remastered" editions in the future. 1,388,099 people love this site.